One in ten passengers have experienced bad behaviour (abuse, shouting or other obnoxiousness) on flights in the past year, Which? Travel research has revealed. Most of these were rowdy flyers bellowing to each other across the aisles, or similar rudeness, but there were also incidents of frightening violence. One passenger told us about a flight where his neighbour downed four vodkas and then became aggressive when staff, finally, refused to serve him more. An off-duty police officer ended up wrestling him to the floor and the flight was diverted. ‘The whole plane had to stay in a hotel overnight,’ he says. ‘We continued our journey the next morning and a four-and-a-half-hour flight ended up taking 24 hours. Another passenger told us of a flight from Newcastle to Alicante, Spain where a drunken stag party tried to set fire to a seat cover. From failures at airline security to car hire companies charging customers for repairs that were never made, find out more about Which? Travel and our award-winning investigative team. According to the Civil Aviation Authority (CAA), there were 186 disruptive passenger incidents a year between 2012 and 2016. In 2017, that number jumped to 417. This is not just rowdy behaviour. These are the most serious situations, where flight crew felt there was a threat to the safety of the aircraft. EasyJet has said that the consumption of duty-free alcohol on planes, which is already banned by airlines, should be a criminal offence, as it is in the US. Yet while airlines have been asking the airports to tighten restrictions, we heard from holidaymakers who found already drunk passengers being served alcohol once on board the plane. In the video below an easyJet flight attendant we spoke to tells us that airlines only pay ‘lip service’ to reducing drinking. He talks about his experiences of drunk and disorderly passengers, and explains how airlines encourage staff to push alcohol sales. Alcohol sales on some airlines certainly seem to be increasing. ‘Sales of gin and tonic have risen by more than 40%,’ said an easyJet press release back in 2016. British Airways is equally cheerful about its drink sales. ‘Customers have been getting in the summer holiday spirit, this year more than ever, with 212,000 bottles of wine consumed across all British Airways flights in July, up 3% on last year,’ it said in a recent press release. This may not surprise London businessman Christopher Pattinson. He sued BA earlier this year claiming that drunken passengers had ruined his flight to Las Vegas. Pattinson told the court that he was ‘concerned that airlines can feed passengers as much alcohol as they want and allow them to get out of control’. BA responded that its staff had warned the drinkers about their behaviour but were ignored. It also said that it ‘owes no duty to ensure that passengers remain sober during flights’. The court ruled in the airline’s favour. 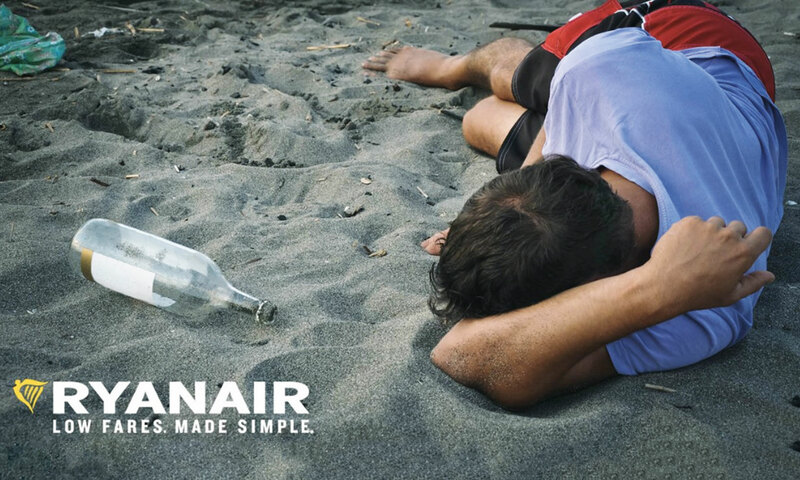 In the same week that it called for airports to restrict alcohol sales, the Ryanair social media team tweeted an image of an apparently paralytic young man lying on a foreign beach with the approving tag-line ‘this could be you’. The government is currently consulting on whether airports should have to abide by the same laws on alcohol sales as high street pubs. Currently, premises at airports are exempt from licensing laws, meaning they can sell alcohol early in the morning. On the high street, pubs need to obtain permission from the local authority to have an extended, early morning licence. The Association of Airport Operators denied that the CAA figures show a rise in disruptive behaviour, saying that the ‘number of incidents is stable despite record passenger growth’. Despite this, it did point us to its joint code of practice, which includes a new voluntary scheme where airport operators, bars, police, airlines and others share information about potential problem passengers. Some airports we spoke to say that they have had success in reducing drunken behaviour through these initiatives. At Glasgow Airport, everybody who works at the airport is given a central phone number to call if they spot someone who’s drunk or aggressive. This information is then shared with bars and shops, which can refuse to sell that individual more alcohol. The police will also approach them and warn that they may not be allowed to board the plane. Police at Glasgow Airport told us that serious incidents fell to 27 in the first nine months of 2018, compared with 58 in the same period in 2017. The CAA has called for more prosecutions of passengers who break the law on board. 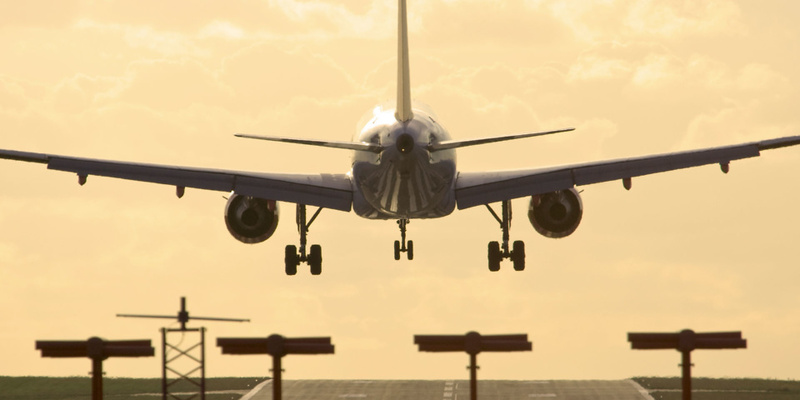 Richard Stephenson, CAA director, said: ‘Passengers need to know they will face the full weight of the law should they be found guilty of disorderly behaviour.’ The penalty for endangering the safety of an aircraft can be a custodial sentence of up to five years. Even being drunk on board an aircraft can result in an £80,000 fine, should the plane have to divert. However, the easyJet flight attendant we spoke to told us that if they do want to report drunk or disorderly behaviour when the aircraft lands, it can mean unpaid hours of sitting around waiting to fill in additional paperwork. EasyJet told us it encourages staff to report incidents, and claims that they are able to do this when on board the flight or immediately afterwards, while still being paid. Percentage of passengers who told us that they had experienced shouting, drunkenness, obnoxiousness, verbal abuse or other bad behaviour by fellow passengers in the last year.